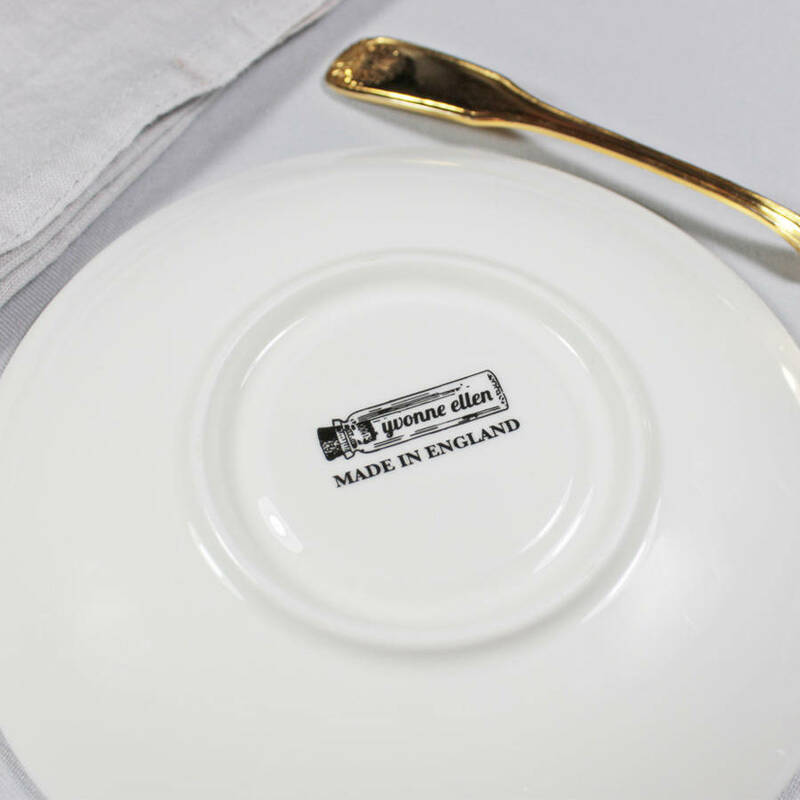 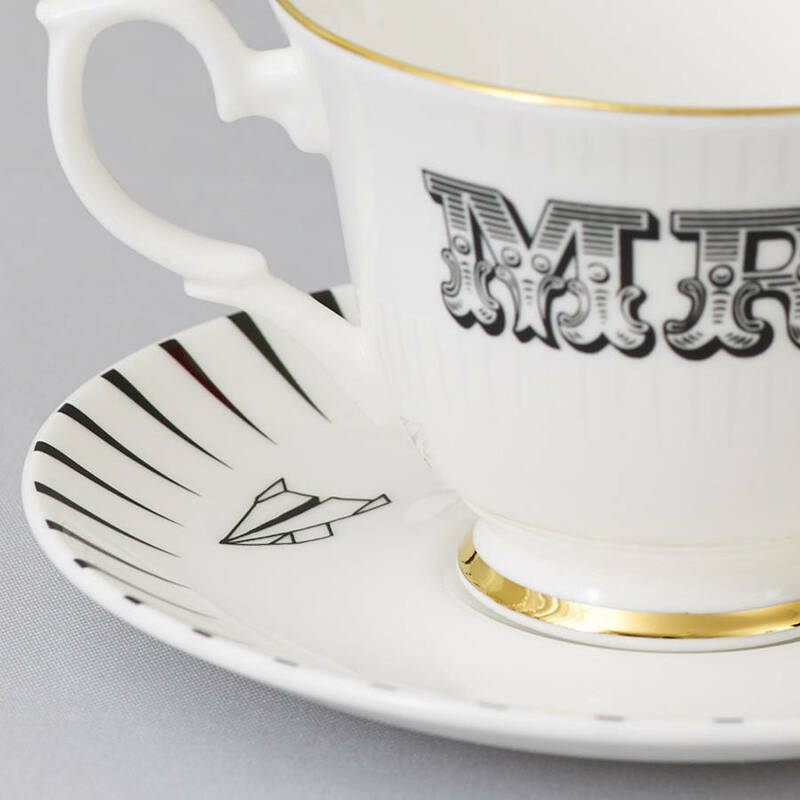 Unique and quirky Mr & Mrs tea cup and saucer set with beautiful gilt gold detailing. 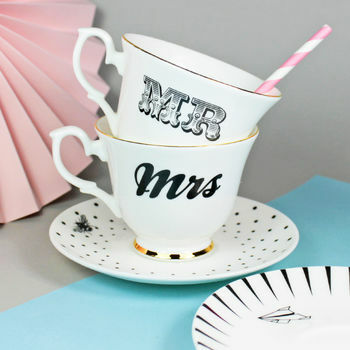 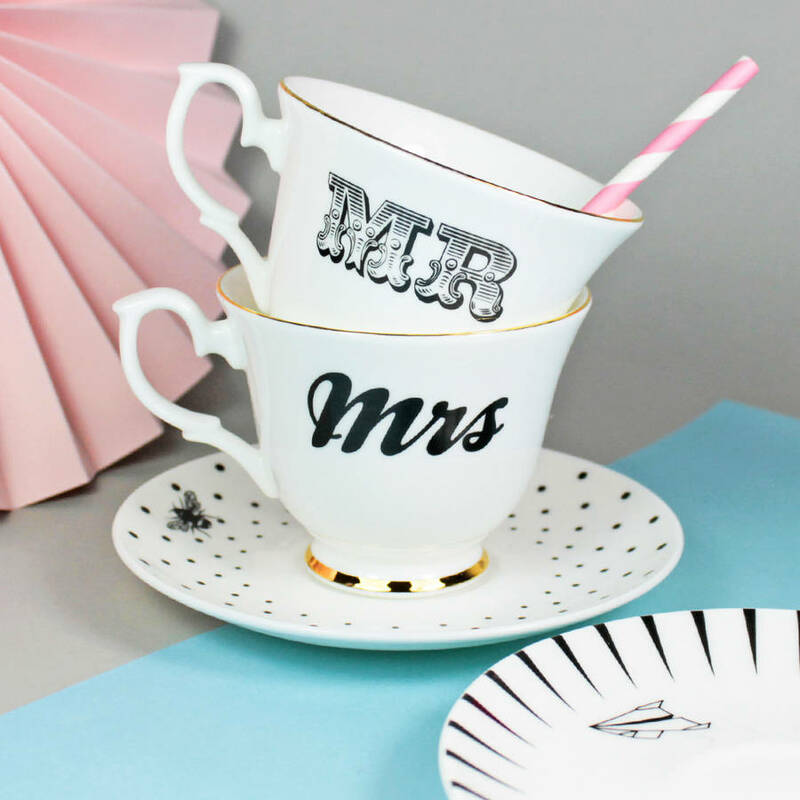 A fun and fabulous wedding gift for the newlyweds or the perfect home accessory for you and your partner to enjoy. 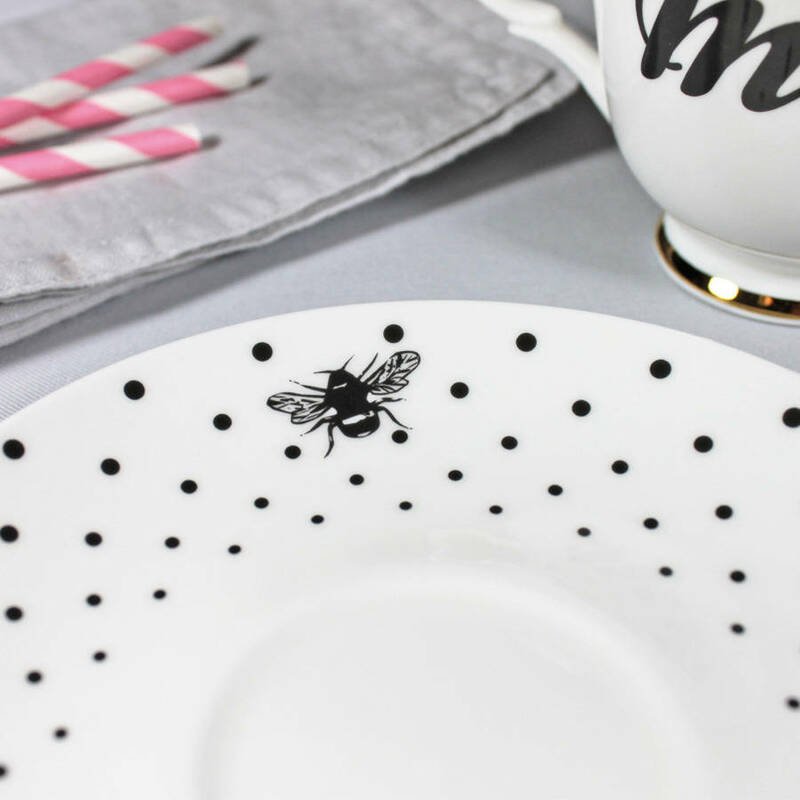 This one of a kind tea set features a cute little Bumble Bee on the ‘Mrs’ saucer and a charming little paper aeroplane on the ‘Mr’ saucer. 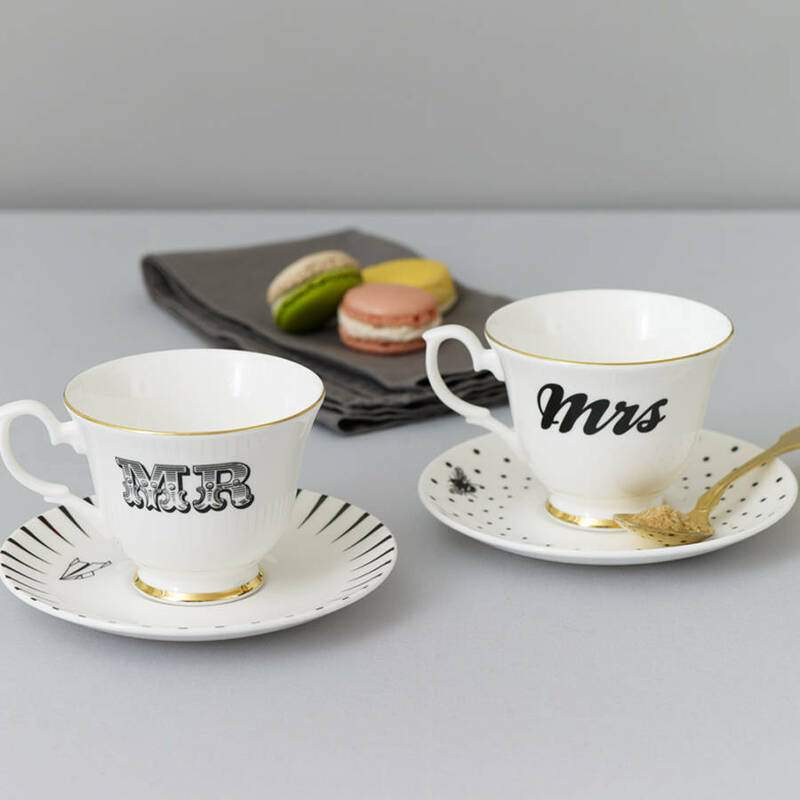 Sold as a pair (two teacups, two saucers).